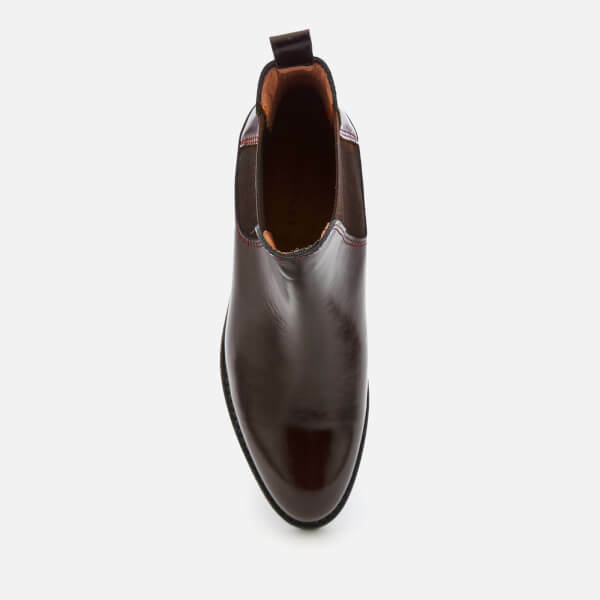 Flat leather Chelsea boots from British fashion label, Whistles. 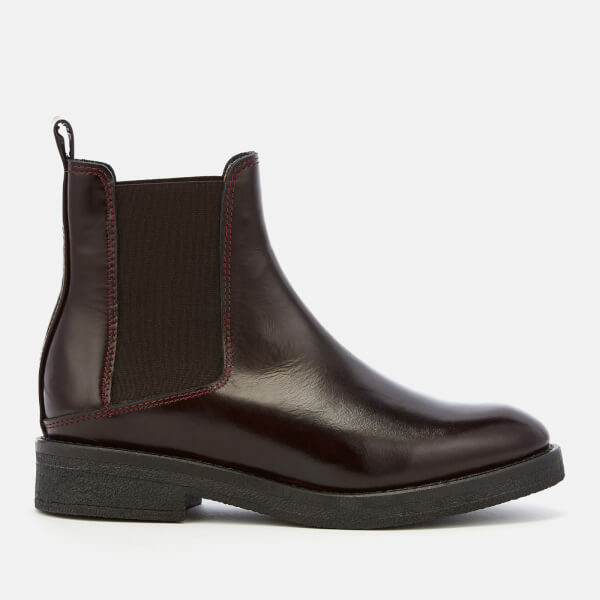 Arriving in a dark burgundy colourway, the ankle boots feature a classic Chelsea boot construction with elasticated side gores and a pull tab at the heel. 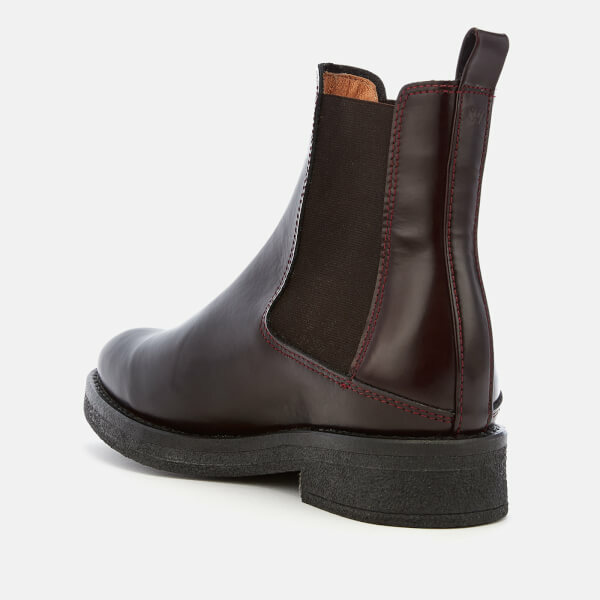 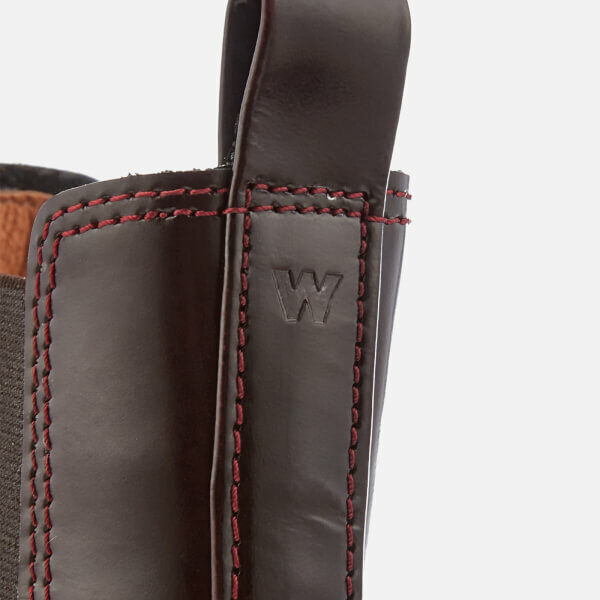 Set upon a chunky rubber crepe sole with a stitched welt, the round-toe boots are complete with the brand’s signature ‘W’ embossed to the heel.